Merry Bell evokes the feeling of frolic and fancy in childhood summers - think a secret garden with delicate vines and falling blossoms. 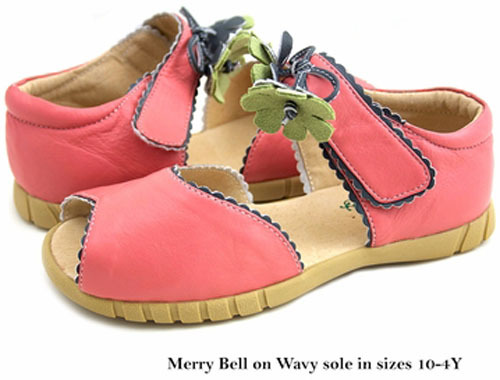 With its dangling tassels and scalloped edging in contrasting color, this open-toe sandal is feminine and sweet. 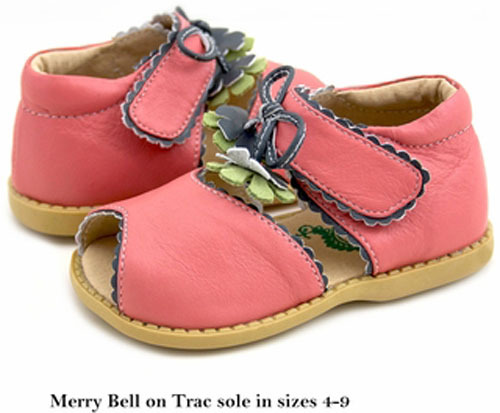 In guava pink leather with a mint green and gray flower and dark gray scalloping.